You look around at your outdoor space and realize something is missing, but you’re not sure what. You survey your furniture, Adirondacks lined up neatly in a row on one side of your firepit and your deep seating love seat and chair on the other. And all of a sudden, it comes to you. 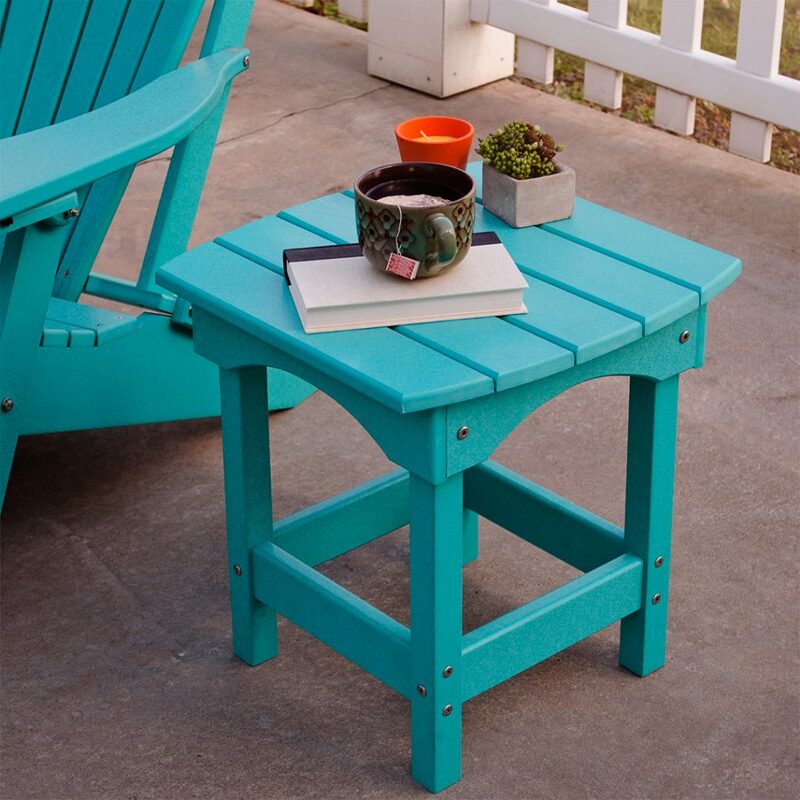 There are no cornerstones or connecting pieces that tie all of your outdoor furniture together. This is where side tables come in! These handy accessories can really turn different pieces of furniture into cozy areas that are fitting of your home. Not to mention, there just straight up useful! Whether you like to use your patio for entertaining family and friends or you just like having a spot to decompress in nature, there are all kinds of styles you can have to go with your existing furniture. Having the right side table adds utility and charm, no matter what silhouette you choose. From round to more squared-off edges, the side table you choose should mimic the shape of your existing furniture. 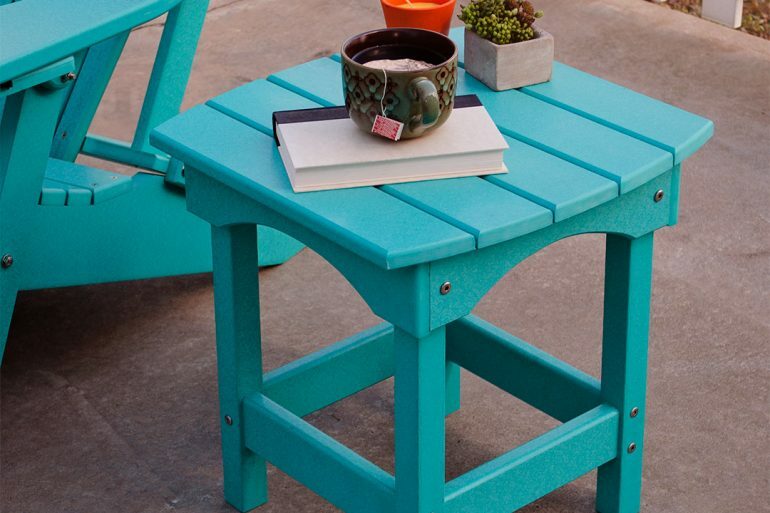 For example, if your patio furniture is more modern, look for side tables with a straight, more squared-off appearance. Does your furniture have more of a spherical or rounded appearance? Opt for a side table that complements that shape! Don’t buy side tables that make you do more work! 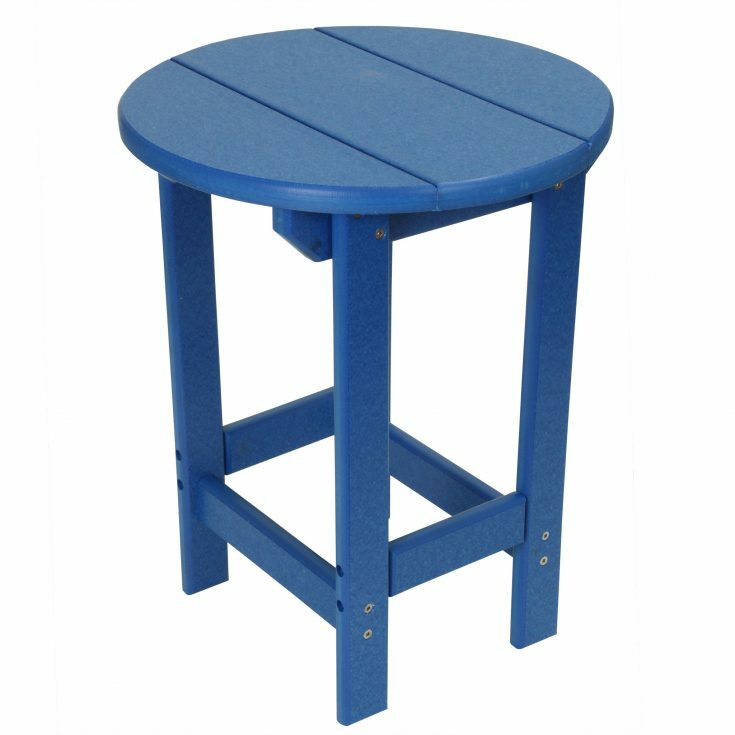 ECCB Outdoor side tables are made from 95% certified recycled material poly lumber that is resistant to fading and will not retain moisture. Spend more time relaxing than worrying about extra waterproofing, painting, and staining. 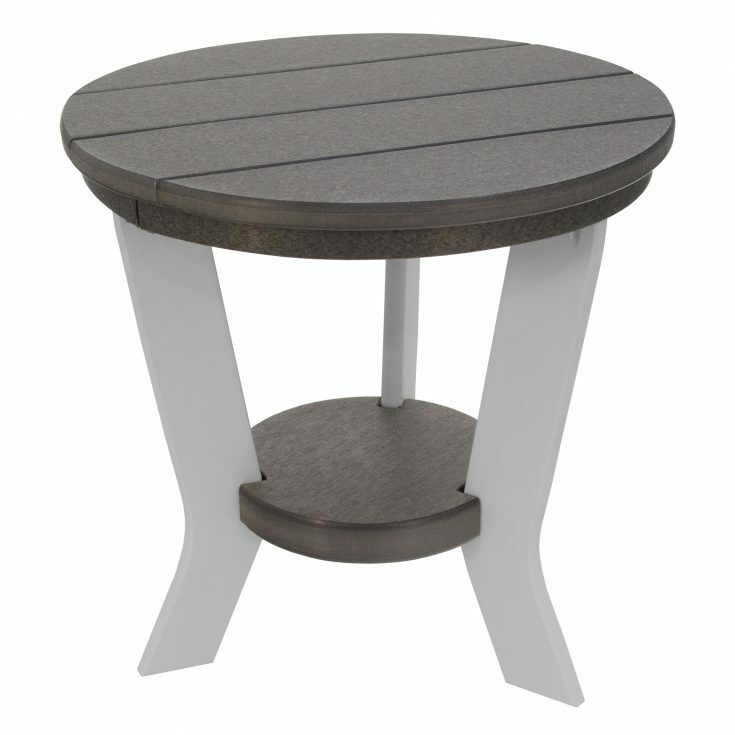 This material is perfect if you’re looking for a low maintenance alternative to wood or a more brittle plastic table. Spill a drink? Did your kids’ snacks miss their mark and end up on the table? These side tables just require a little soap and water and they’ll clean right up! Many homeowners already have a particular color scheme picked out, so it’s not hard to imagine what color would like best on your patio. 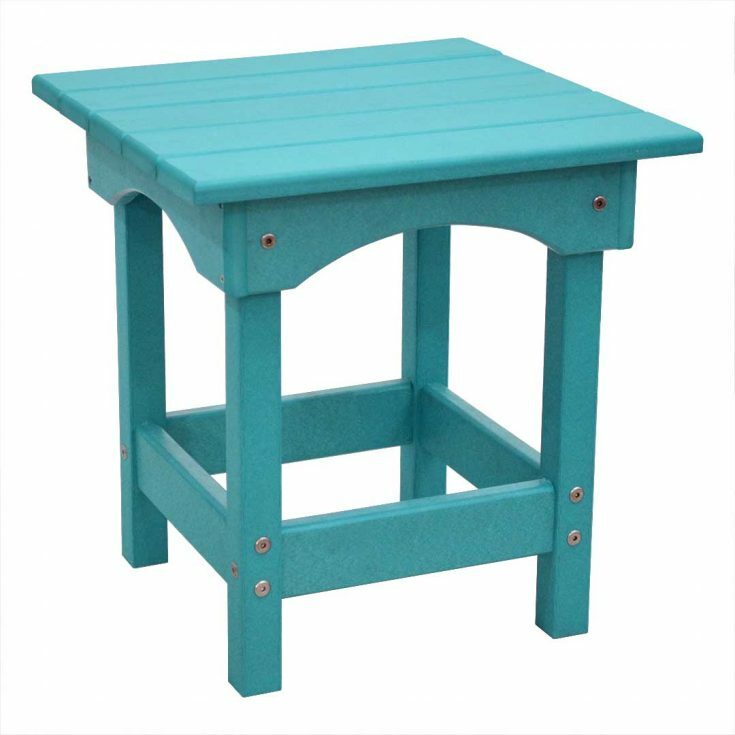 Depending on the style of table you’re interested in, most ECCB Outdoor side tables can be made in any of our 20+ poly lumber colors. That means you have quite a range of textured wood grains, neutrals, tropical, and deeper colors to choose from to complete your furniture set. Don’t forget, you could also choose a contrasting color instead of a monochromatic look and have your side table pop! 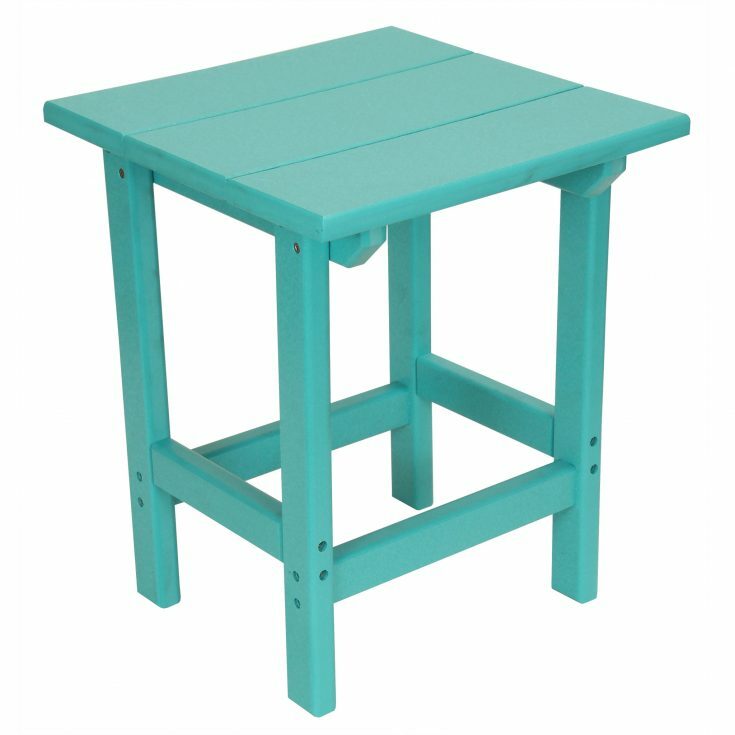 Ready to pick out your side table for your outdoor space? 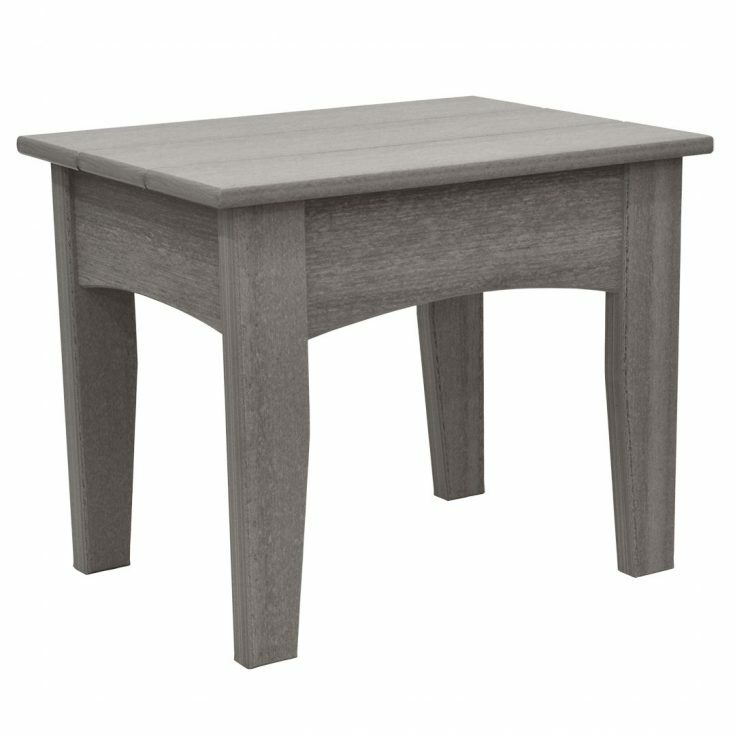 Click through the slideshow below and find the right side table for you! 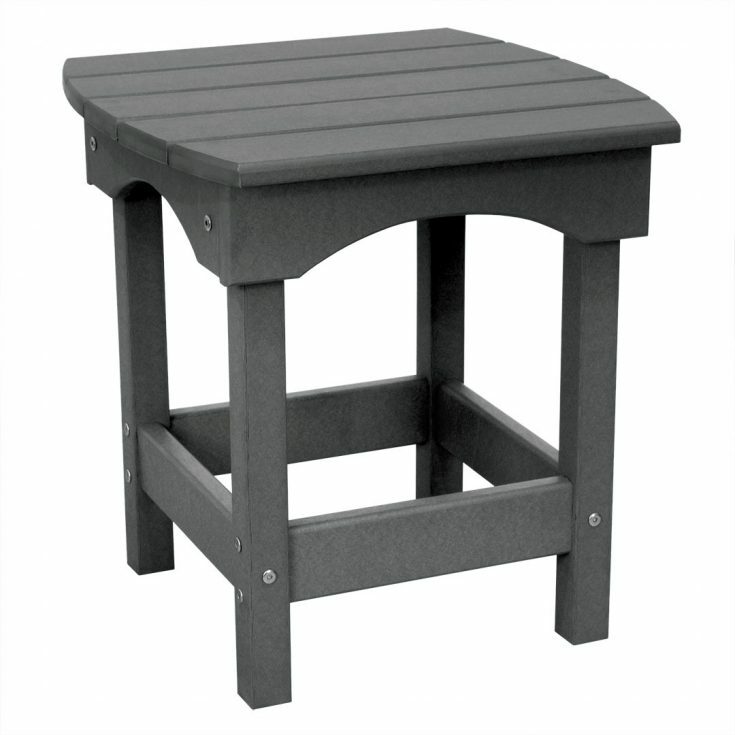 Want an easy way to complete your search for online outdoor furniture? For a limited time, we are offering a great deal when you buy a set of of two Deluxe or Integrated Adirondack Chairs and a Harbor Side Table to complete it!